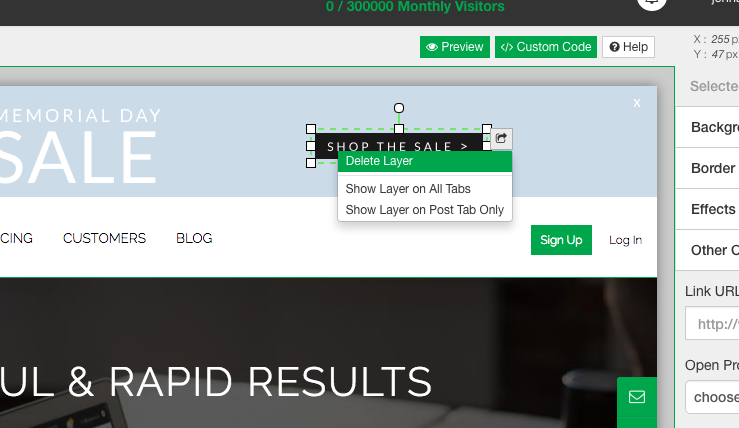 Some of our templates have CTA buttons automatically installed into the design. These are made for users who would like to drive traffic to a specific section of your site for say a holiday sale. For example fathers day promotions would have a CTA to send a user to the mens section of fathers day sale page. Here is how you can find the CTA settings and either delete the layer or insert a URL!